The easiest way to accept mobile credit card payments directly on your mobile phone with low fees and no fiddly card readers. If you’re selling your products or services at a market, from home or out and about, all you need is a Stripe account and the Charge for Stripe app and you can accept mobile credit card payments quickly and easily right on your phone. And because Charge for Stripe is one of only a few payment processing apps with “Stripe Verified Partner” status (view the listing), you know you’re in safe hands! App launched March 17th, 2018. Figures correct as at March 13th, 2019. Process mobile credit card payments, send a receipt and send customers on their way, all in less time than it takes to update your Facebook status. Simply tap the card on the back of your device (Android devices with NFC) to have the card number and expiry magically appear in the app, so you just need to enter the CVC and amount and you’re done. Use the app to take a photo and the card number and expiry date will magically appear in the app, leaving you to just enter the CVC and the sale amount to complete the process. Manually type in your customer’s card number, expiry, CVC and the amount and you’re done. Thanks to Stripe’s “Radar”, you can rest easy knowing your transactions are all monitored and the most relevant signals are used to help detect and block fraud. Find out more. See how your sales are going today, this week, this month or whenever, with beautiful charts that keep you up-to-date at a glance. Whether you want detailed data or just an overview, Charge for Stripe can help. Access detailed information including recent transactions, payouts, or customers, plus you can also process refunds and contact clients directly from within the app. 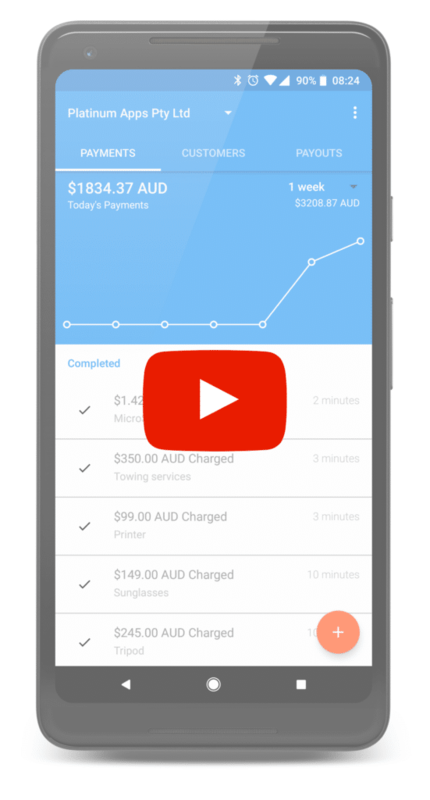 We focused on building a beautiful, yet functional app that’s easy to use and allows users to process payments quickly, while also having access to detailed reporting data for Android and iOS (iPhone/iPad).